Oscar-winning makeup man Greg Cannom has been signed up to work on Shah Rukh Khan in Maneesh Sharma’s Fan. Greg has won the Oscar for giving Robin Williams a makeover in Mrs Doubtfire, Brad Pitt's age-defying looks in The Curious Case Of Benjamin Button, and 1992's Dracula. Greg has visited Mumbai at least three times already to work out Shah Rukh’s look. 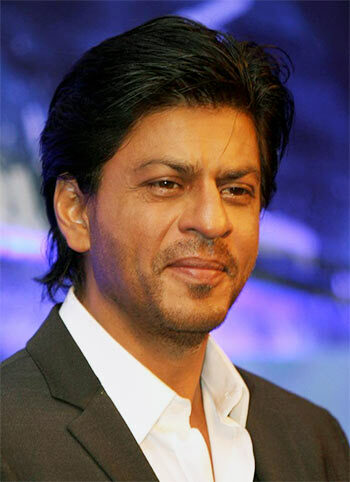 "He has done several looks tests on Shah Rukh. Shah Rukh has never done a ‘look’ in films before, except Veer Zaara, where for a portion of the story he had to age. Here in Fan, for the first time Shah Rukh’s face and body language would be completely transformed. He loves the look that Greg has chosen for him," says a source. Greg Cannom had earlier done Priyanka Chopra’s aging makeup for Saat Khoon Maaf. Exclusive! US Ambassador to India Rich Verma speaks to Rediff!